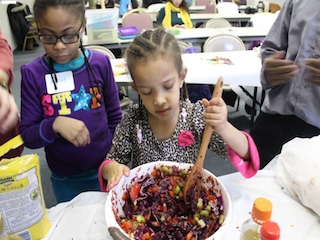 We are excited to inform you that the MI Farm to School Trainings are getting ready! These trainings are a great opportunity for schools, early childcare programs, farmers, and other organizations interested in learning about farm to school or farm to early childcare and preschool. Below is a list of the locations and times for the trainings across the state. There is also a link for you to register for the location in which you would like to attend. Just click on the link to register. Please share with those who may be interested and contact me if you have any questions. Look forward to seeing you at the trainings! An additional presentation on Cultivate Michigan, a local food purchasing campaign of the Michigan Farm to Institution Network, will be provided.